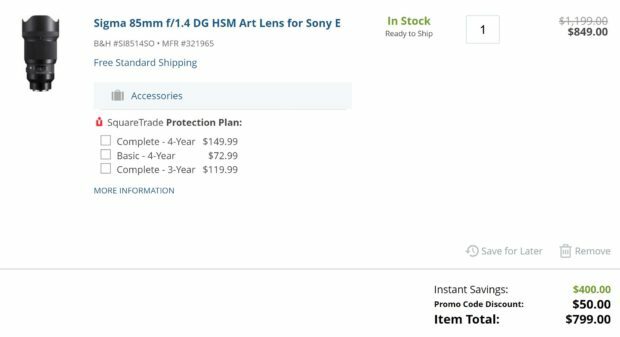 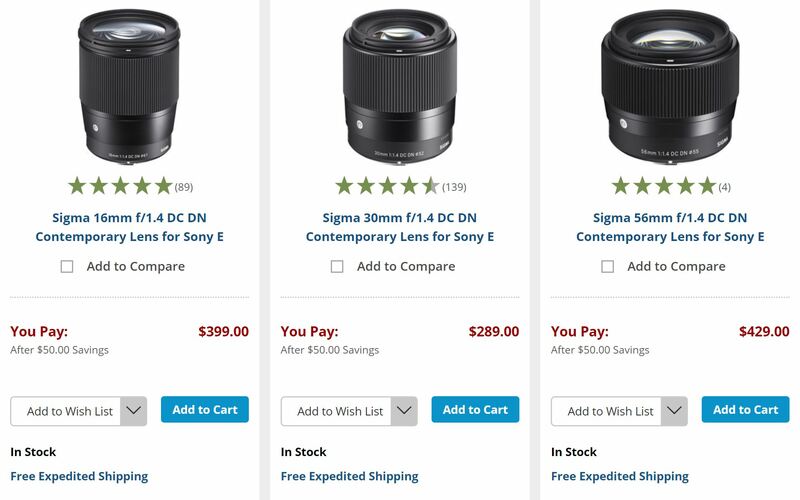 Author adminPosted on November 29, 2018 November 29, 2018 Categories Sigma E-mount Lens, Sigma FE Lenses, Sony E-mount LensesTags Black Friday & Cyber Monday DealsLeave a comment on Sigma Art Lens Black Friday Sale to be Expired Tonight Midnight ! 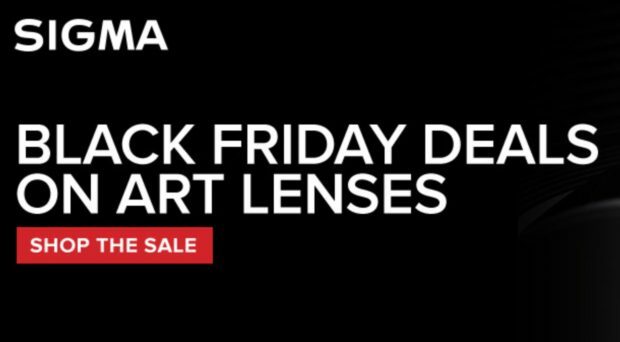 Author adminPosted on November 15, 2018 November 15, 2018 Categories Sigma E-mount Lens, Sigma FE LensesTags Black Friday & Cyber Monday DealsLeave a comment on Up to $100 Off Sigma Art Lens Black Friday Deals now Live ! The new announced Sigma 56mm f/1.4 DC DN Contemporary Lens (B&H Photo/Adorama) and 40mm f/1.4 DG HSM Art lens (B&H Photo/Adorama) now available for pre-order online. 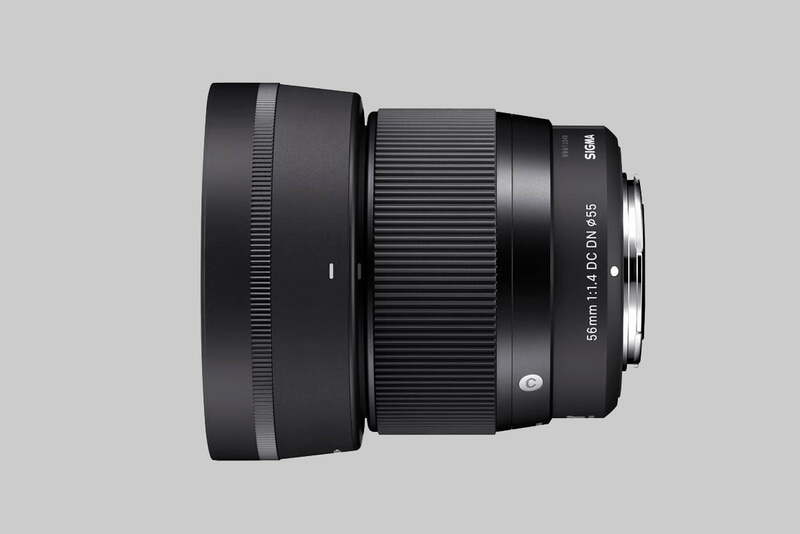 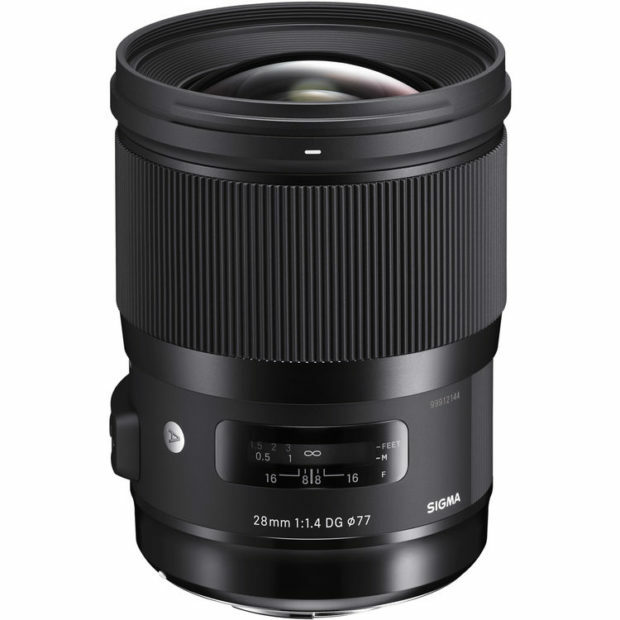 The US price for Sigma 56mm f/1.4 DC DN Contemporary lens is $479, US price for Sigma 40mm f/1.4 DG HSM Art Lens is $1,399. 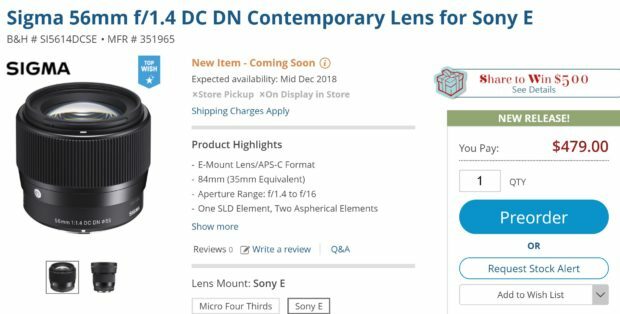 Release date for Sigma 56mm f/1.4 DC DN Contemporary lens is in Middle December, 2018.